It’s archaeological poop time! This blog has been deprived of essential fiber for too long and I’m sure you’ve missed having a solid, well-formed poop story as much as I have. Today’s satisfying movement is brought to you by Denmark, bless its organic material-preserving waterlogged soil. 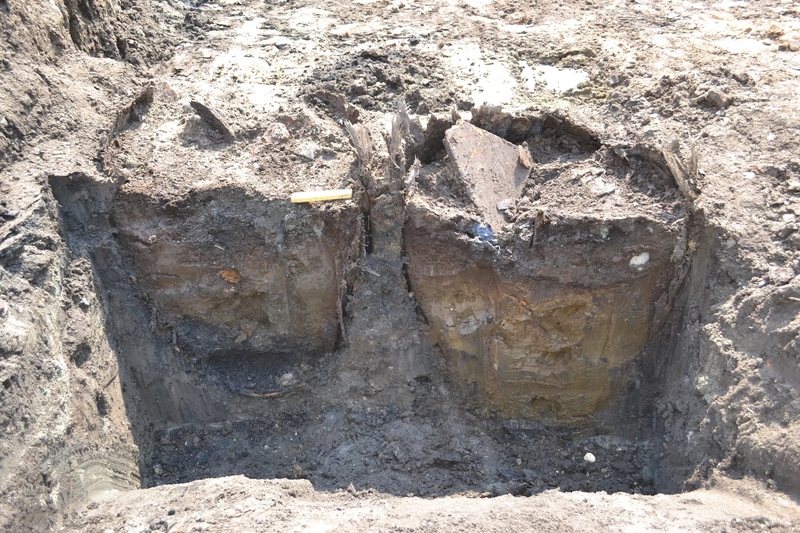 Two latrines were discovered during an excavation of Kultorvet square in Copenhagen in 2011-12. The square in the city center was built over the ruins of an old Renaissance neighborhood that had burned down in 1728, and thanks to a road that had been built 40 years earlier, the latrines could be conclusively dated to the 1680s. Like the barrels full of 14th century excrement found in Odense that were originally used to transport herring, these too were trade containers repurposed into latrines. They held Rhineland wine before finding their true vocation of converting human feces into archaeological gold. They were three feet wide and had been dug into the ground a foot apart from each other. Both were about two-thirds full of excrementitious organic material. Wood remains found around the barrels attest to there having been a shed built over them. Archaeologists could see right away that the contents were very well-preserved. Seeds and pits were clearly visible in situ. The barrels were cut in half vertically while still in the ground to determine if they had internal stratigraphy to sample. 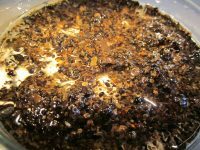 The western barrel was all one mass, while the eastern barrel had two defined deposit layers – an upper layer of feces and straw and a lower rubble layer with very little organic material — so it was selected for analysis of its contents. The study is more far-reaching than others performed on similar deposits. In addition to analyzing grains, fruits and seeds found in the cess, researchers also tested for pollen, parasites and animal bones. The parasite eggs were DNA-tested to determine conclusively whether they were human parasites found in feces, or had hitched a ride with animal remains discarded in the latrines. Large samples were taken from each of the two layers and then divided into sub-samples for analyses of four different categories: grains/fruits/seeds, pollen and spores, parasite eggs and animal bones. The samples from both layers were rich in plant remains. In the upper layer, 66% of the contents were food plants while 34% were wild taxa, primarily field weeds. In the bottom layer, the proportion of culinary to wild taxa was 60%-40%. Out of the cereal bran soup, only barley, oats and rye could be securely identified. Within the soup were a plethora of fruit seeds, first and foremost figs. There were so many fig seeds in the barrel, in fact, that archaeologists identified them during the excavation. Other fruits found in the sample included grapes, apples, pears, raspberries, blackberries, black currants, elderberries, citrus (likely either lemon or bitter orange) wild cherries, wild plums and wild strawberries. There were herbs – ground elder, dill, coriander – and seeds – mustard, flax – and in the bottom layer, a small amount of hazelnut. Pollen species were 49% crops, 45% of that barley, with dryland species, mostly grasses, taking second place at 43% of the pollen counts. The parasite analysis identified eggs from roundworm, whipworm and tapeworm, far more of them on the top of the latrine than the bottom. This is the first evidence of human tapeworm found in an archaeological context in Denmark. There were an impressive variety of animal bones: 162 bone fragments in the two samples. Most of them came from the bottom layer and included the bones of herring, eel and cat. 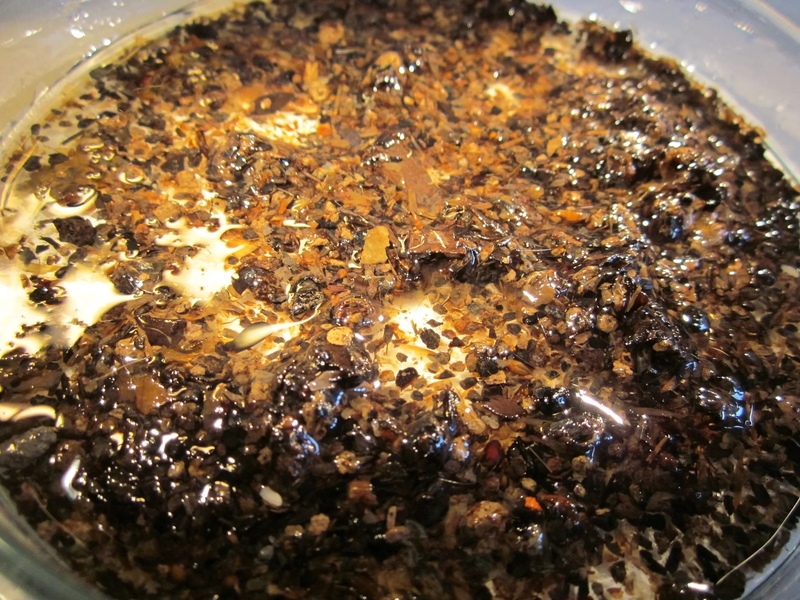 The top layer had fragments of herring, eel, cod, bird and pig bones. The results attest to the varied diet the residents of this area of late 17th century Copenhagen had. While cereals, likely in the form of bread, porridge and beer, form the basis of their diet, they clearly had access to a wide selection of fruits either from their own gardens or from the market. Figs, grapes and citrus are Mediterranean fruits and while they can all grow in Denmark in warm, sheltered places or in greenhouses, this deposit is the first time citrus has been found in an archaeological context in Denmark. They were probably expensive imports, dried fruits or jams rather than fresh. “The people whose latrines we have investigated were well-fed on bread, fish and meat, alongside a variety of fruit, herbs and spices,” said lead study researcher Mette Marie Hald, a senior researcher of environmental archaeology at The National Museum of Denmark. The mere presence of these cloves indicates that Copenhageners had access to goods from long-distance trade, probably through the Dutch trading companies, as Indonesia was a Dutch colony at the time, Hald said. This entry was posted on Sunday, July 22nd, 2018 at 1:04 PM	and is filed under Modern(ish), Renaissance. You can follow any responses to this entry through the RSS 2.0 feed. You can skip to the end and leave a response. Pinging is currently not allowed. Articles like this are why The History Blog is my #2 favorite! Ha ha – That almost sounds like a recipe — ‘Lebkuchen‘ do range in taste from spicy to sweet and come in a variety of shapes with round being the most common. The ingredients usually include honey, spices such as aniseed, coriander, cloves, ginger, cardamom, and allspice, nuts including almonds, hazelnuts, walnuts, and candied fruit, figs, candied orange and lemon peel. Lebkuchen was invented by monks in Franconia in the 13th century. Lebkuchen bakers were recorded as early as 1296 in Ulm, and 1395 in Nuremberg. The latter is the most famous exporter today. Wild honey was “cut” (excidere) locally, by folk referred to as ‘Zeidler’, or peasants were paid to ‘impen’ their beehives next to their crop. Honey cake must have been known to Romans (‘panis mellitus’) and Greeks (οὐλόχυται). The late medieval trade in spices from the Far East was known as ‘Spezerei’ (spice), and until the Dutch took over, the Portuguese were in control, and probably before them “Arab” traders. The stuff was traded through to Europe. By the early Age of Discovery, e.g. the Welser family had established trading posts in Antwerp, Lyon, Madrid, Nuremberg, Sevilla, Lisbon, Venice, Rome and Santo Domingo (not sure about Luebeck and the Hanseatic League). Bartholomeus Welser lent money to Charles V., for which in 1528 he received as security the South American Province of Venezuela (‘Little Venice’). Bones??? Hopefully they were talking microchips. From 1945, a WWII recipe (modern variant) for what has usually been referred to back then as “Rabbit from the Roofs” (For 4 starving eaters) >° °< …Meow! Sounds like a dish from one of the dwarf cafes in Ankh-Morpork.